US envoy responds to PLO's Hanan Ashrawi, who asserted that US officials are engaging in diplomacy through Twitter. 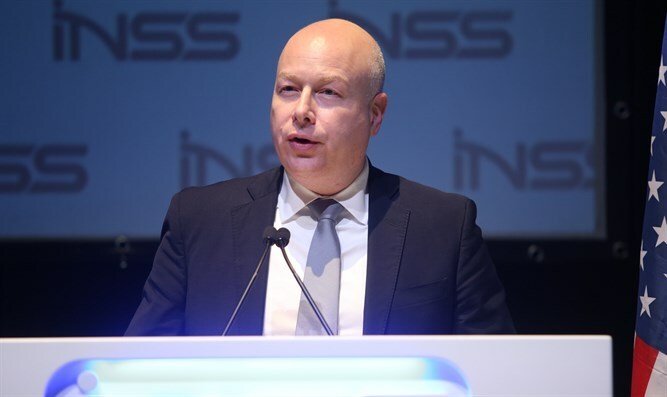 US Special Envoy for International Negotiations Jason Greenblatt on Saturday stressed that his door is always open for a meeting with Palestinian Arab officials. His comment on Twitter came in response to Palestine Liberation Organization (PLO) official Hanan Ashrawi, who asserted that US officials were engaging in diplomacy through Twitter. “Twitter diplomacy/policy is the triumph of narrow minds, anemic intellects & minuscule attention spans, precluding thorough & responsible analytical/critical interactions that are honest, contextual & insightful. We are witnessing the global ramifications of this failure,” wrote Ashrawi. “The instant gratification of a tweet can never be a substitute for a serious engagement in search of genuine solutions. Those who think they’re transmitting knowledge, political solutions or negotiating positions via Twitter are ‘engaged’ only in self deception,” she added. Greenblatt is one of the US officials working on a peace plan for Israel and the Palestinian Authority (PA), which the PA has rejected before it has been made public. PA officials have refused to meet Greenblatt and other US officials and have boycotted the US ever since President Donald Trump’s recognition of Jerusalem as Israel’s capital in December 0f 2017. On Friday, Greenblatt fired back at PA chairman Mahmoud Abbas’ spokesman, Nabil Abu Rudeineh, after the spokesman bemoaned the US cut in aid to the PA, which the PA itself had requested. “Mr. Abu Rudeineh: time to get serious. Either work on peace and/or work on helping Palestinians. The old messages and methods don’t work anymore- not with the US, and not with many other countries. It’s only a matter of time until other countries say this out loud too,” Greenblatt tweeted.